» 06.27.11 : Co-leading the OpenBook workshop. » 06.27.11 : I'll be joining the Art and Technology Studies Faculty at SAIC in Chicago this fall. » 05.06.10 : Hello World! formed the backdrop for a recent special Kulturplatz Extra report on Swiss Television (Schweizer Fernsehen). » 08.05.09 : Teaching an advanced Processing workshop at Kitchen Budapest. » 05.15.09 : Artists on the Verge at Art-A-Whirl. 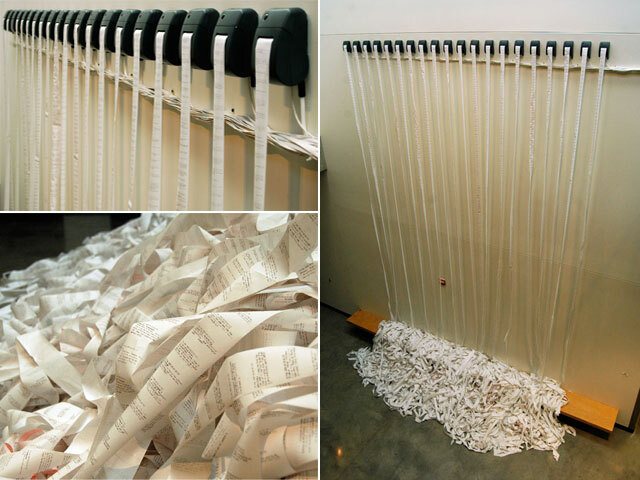 » 02.27.09 : A new work called Murmur Study sees its public debut. » 10.10.08 : On October 9th, I begin a year-long artist residency at Kitchen Budapest new media and innovation lab. » 08.27.08 : My work will soon appear in a new visualization book called Data Flow - Visualising Information in Graphic Design from Gestalten.